Greg: How come I was only paid for 39 hours? Elsbeth: Don’t you get paid the same salary every week? Greg (in a tone reeking of feeling screwed): Not this week. I took a long drag on my Sherlock Holmes pipe and concluded that our payroll processor orchestrated this miscalculation straight out of left field. Elsbeth shifted gears away from the tile challenges to plead Greg’s case for his missing fortieth hour of weekly pay. 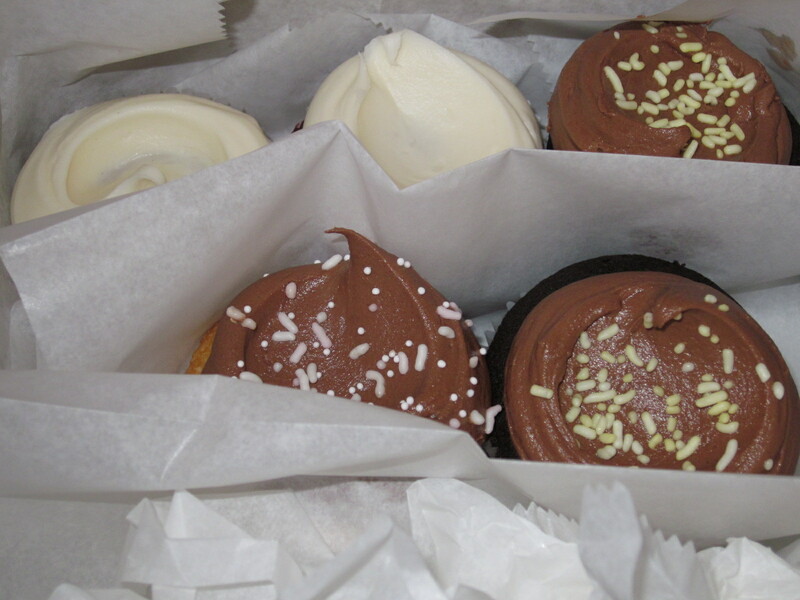 With the going getting dumber by the day, The Boss confided to me that we needed emergency cupcakes. Elsbeth: Get me one with chocolate cake and chocolate icing. Me: That’s serious chocolate, Boss. The Quiet Man: I want coconut or nothing. Ling: Last week, when we got cookies, they didn’t have your triple chocolate. Ling: You’re setting yourself up for disappointment. What’s your second choice? The Quiet Man: I live on the razor’s edge. I give Ling my screaming let it go glance which looks very similar to my forehead smacking you realize that this is a completely hopeless situation so why are you wasting your breath? glance. We head out the door and trek like two mush dogs through lower Manhattan’s icy tundra. 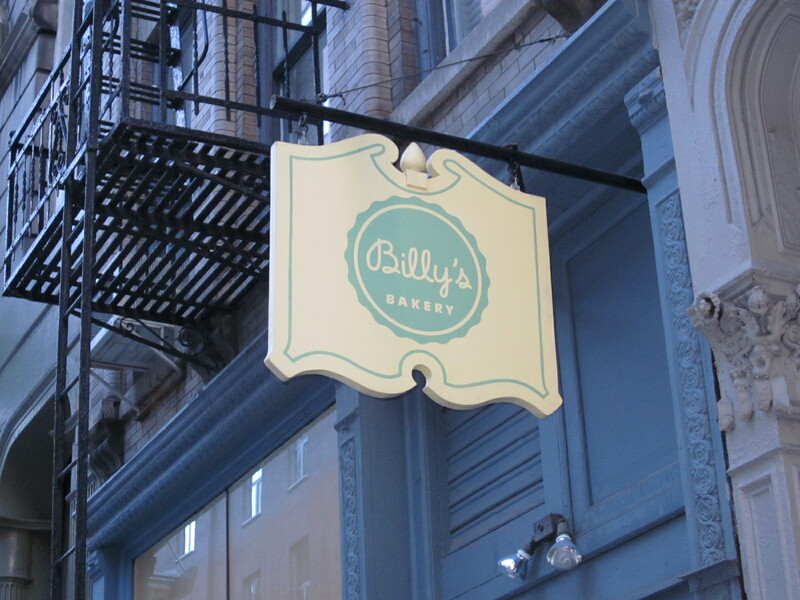 As soon as we enter Billy’s, a homey palace of dessert, we trample each other en route to the cupcake case and scope it out wild-eyed. 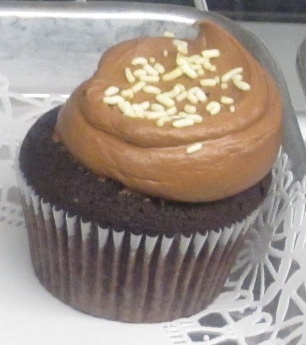 Elsbeth's chosen one in the spotlight, chocolate cake with chocolate buttercream icing. Ling: I don’t see coconut. Do you? Ling asks a clerk for coconut and is told that it’s a special order flavor that is sold in quantities of a dozen. Ling is dismayed. Ling: I feel bad for him. You’re good with impossible situations. Me: Am I? I’m two thirds of the way to the crematorium and I’ve yet to turn my dead end life around. Ling: Yeah, I know that, but are we really going to go back to the office with nothing for The Quiet Man? Think of something! Feeling pressured, I approach a second clerk, Kim the Magnificent. Me: We’re in a situation. Our boss wants us to get cupcakes, but our colleague who refuses to come up with second choices, only wants coconut. Last week, he wanted a triple chocolate cookie when we got cookies, but his cookie wasn’t available. We hate denying him. Is there a compromise solution we can work out here? 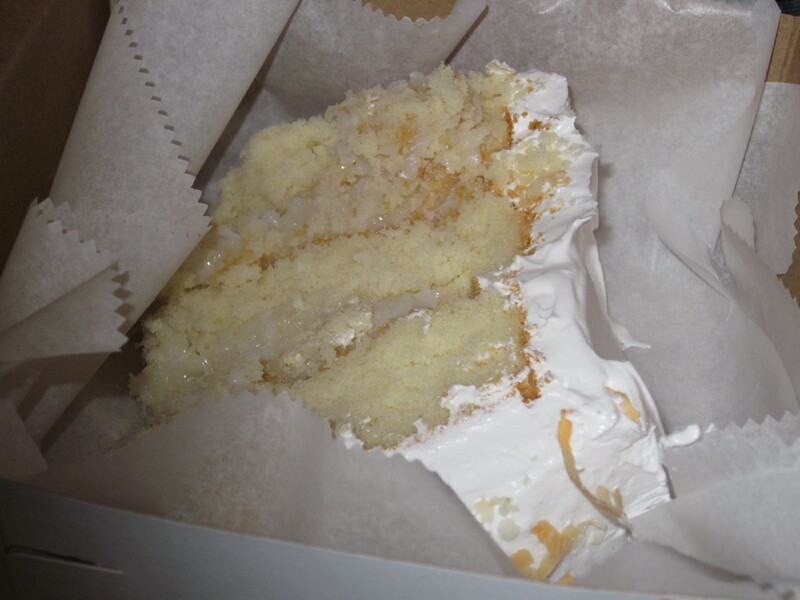 Kim the Magnificent: We have coconut cake. Me: How much is a slice? Kim the Magnificent: Five dollars. Me: I bet that’s a huge slice. He doesn’t want a huge slice. Yet, I suppose if you did a half-slice that would screw up the cake’s slicing system, right? Kim the Magnificent processes this idea. She consults her colleague, who had previously offered the gloomy coconut cupcake forecast. Kim the Magnificent: Do we still do those small slices? Gloomy Coconut Cupcake Forecast Colleague: We do. Me: How much is a small slice? Kim the Magnificent: Two fifty. A hint of cake to come. Ling gives everyone his or her chosen cupcake that we all inhale in seconds flat. 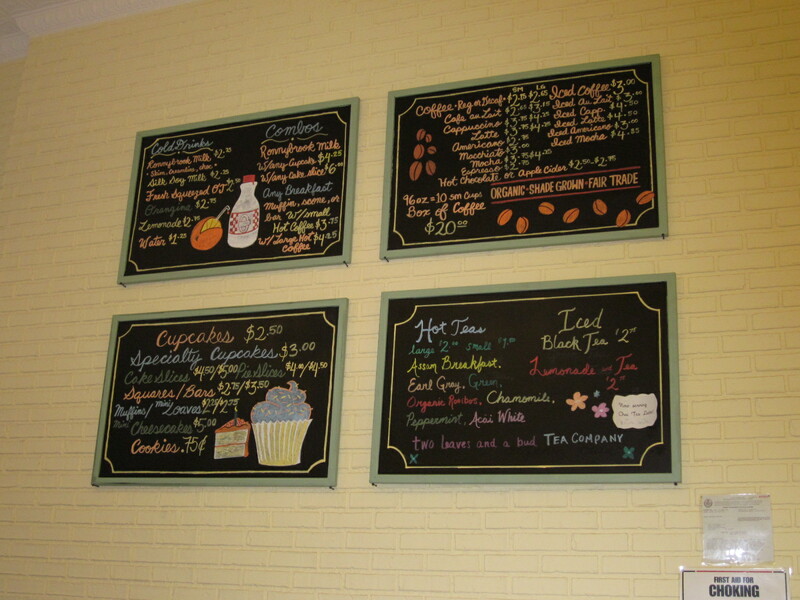 I get my favorite, the yellow daisy with chocolate icing. It’s a classic yellow butter cake with a generous swirl of sweet, but not gag-inducing sweet, soft chocolate buttercream icing. On a freshness level of week old fish 1 to piping-hot-out-of-the-oven-pizza 10, this cupcake brings out the Spinal Tap grade of level 11. Elsbeth, Ling, Greg and Under Ling, award their tasty treats with the same sky-high honor. 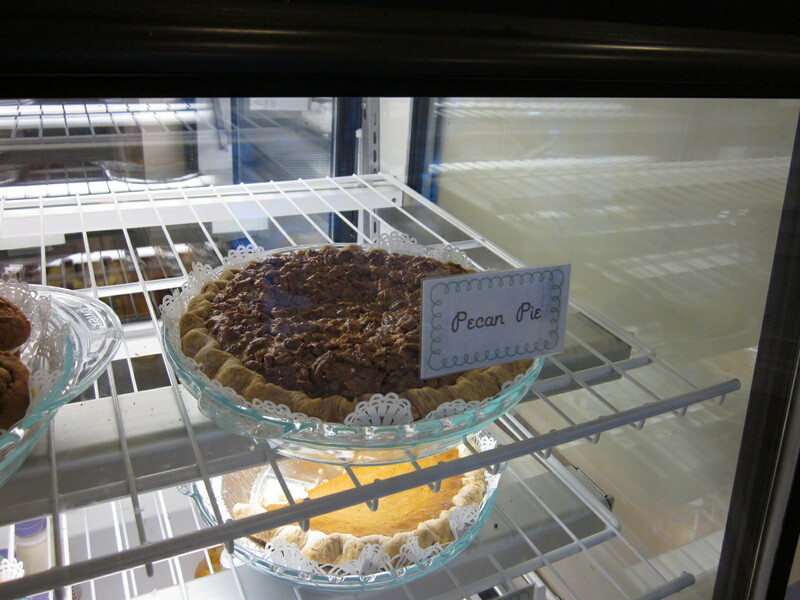 Until her phone rings again, The Boss celebrates 47 solid seconds of pure Billy’s Bakery comfort food bliss. 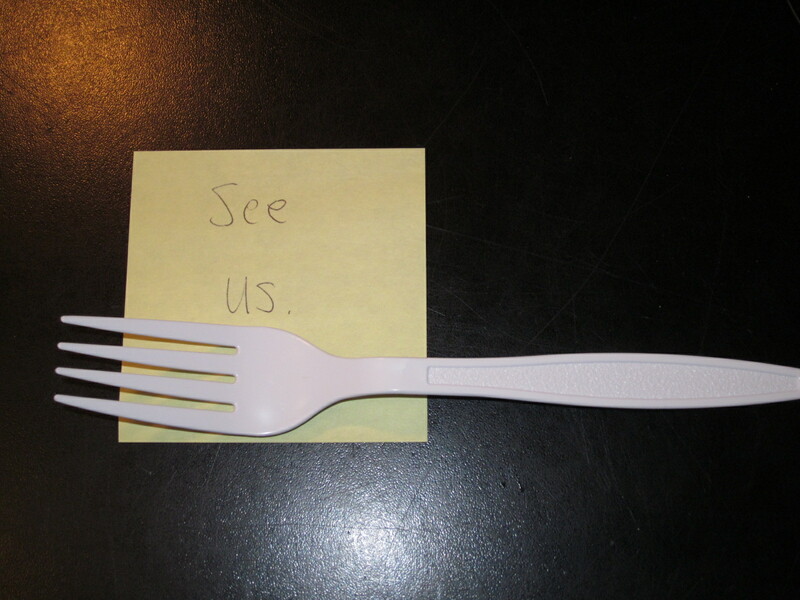 The Quiet Man returns to his desk under the false impression that his request only rated a plastic fork. Ling explains the impossibility of getting a coconut cupcake. The sound effect here is a downbeat. We then hand him his cake box that weighs comparable to a kitten. The Quiet Man: What’s this? [hopeful] A coconut cupcake? Me: No, it’s your second choice. The Quiet Man: But I don’t make second choices. Me: We did for you. The Quiet Man opens the box and sees his small slice of coconut cake that looks enormous to our amateur cake-cutting eyes. The Quiet Man (excited): Is this coconut? Me: And they call it a small slice. Greg: That thing’s huge! I want one of those! 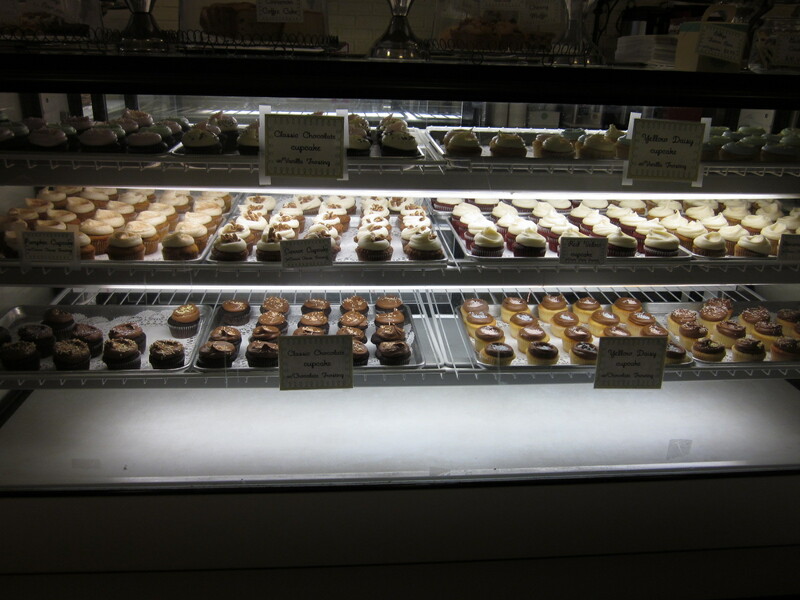 The Quiet Man: That was the best coconut cupcake I ever had! Thanks to Billy’s that “cupcake” was about the only thing that went right in our department all week. 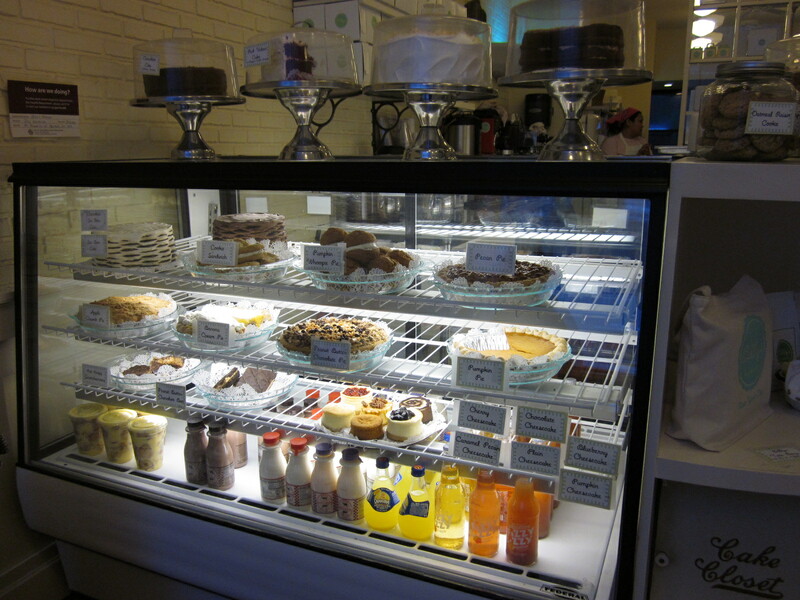 Billy's Bakery, a source for excellent eats. 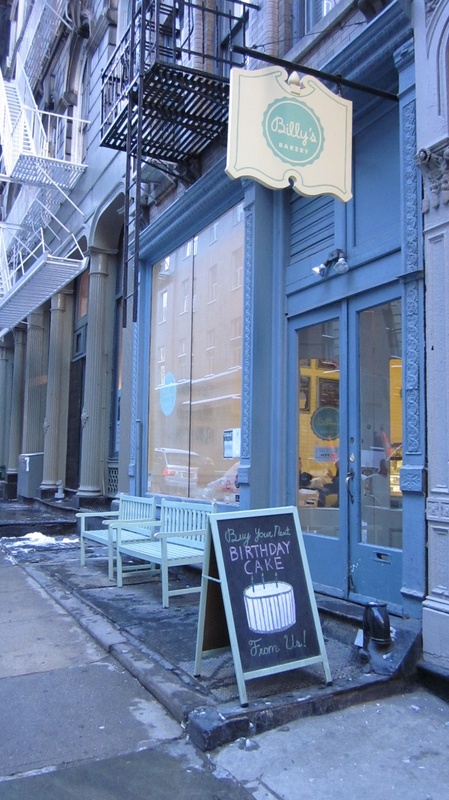 This entry was posted in Humor and tagged billy's bakery, coconut cake, comfort food, cupcakes, dessert, pecan pie, Tribeca. Bookmark the permalink. I so want some now. Do they deliver!!!???? We definately deliver and we will work with you on what makes you smile. My name is Cutter Cartier and i’m the new Director or Operation, i’d love to show you some of our amazing products. Have a great sweet nite. Mer lives in Cape Charles (yes, VA), so I think when she next visits NYC, she’ll visit you. Since I work only a few short blocks away, you’ll see me again a lot sooner. @Nancy — Thank you so much for the wonderful post! We hope to see you again soon. I embedded the link to Billy’s web site in the post … something that should have occurred to me when I wrote it, if I were not so lame. LA Woman & her sidekick UnderLing save the day! This was truly funny! 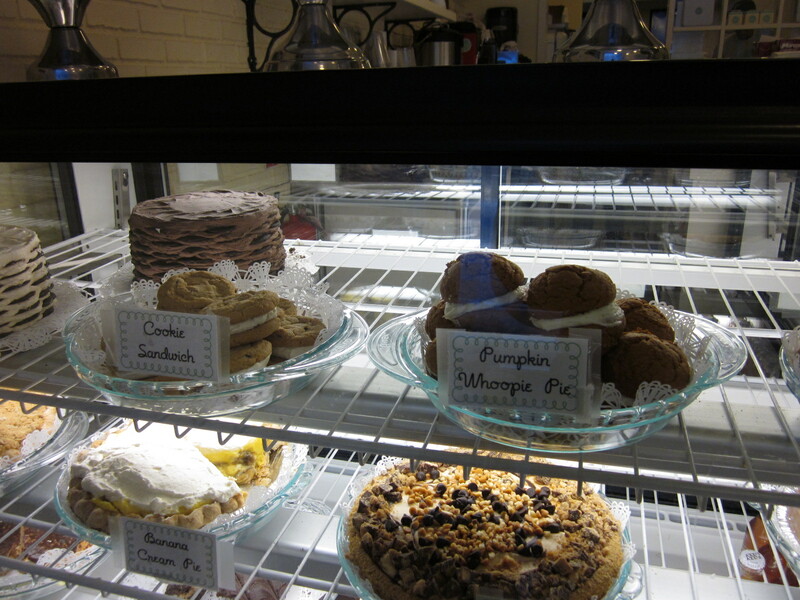 Sometimes I miss the city for just these reasons… fresh great deserts on every corner. Thanks for the shout out, Sarah!